I make use of a feeding station for my bees. It is over 1000 feet from my bee yard. (This distance keeps robbing from starting.) The syrup feeders are mason jars with feeder lids (you can buy these.) They are sitting on my homemade feeders (white). I took a 2×6 and sawed groves in it so the syrup would not puddle, it keeps the bees dryer. In the plastic tubs I placed some dry pollen. They were much more interested in the pollen than the syrup. If you have a feeding station there are a few things you have to keep in mind. 1. It attracts other insects. 2. The temps must be over 55°. 3. You must pick up the food before the temps drop at or below 50. Bees don’t fly under 45°. 4. I put the feeder out every morning, and remove it in the evening. This assures the bees fly back to their hive in the evening. 5. YOU MUST HAVE IT AT LEAST 1000 FEET OR A LARGE STRUCTURE BETWEEN THE STATION AND THE HIVES. ROBBING IS AN UGLY THING. THEY KILL AND STEAL. Those are some of my thoughts on open feeding. I would appreciate yours. I’m glad of an opportunity to talk about open feeding. 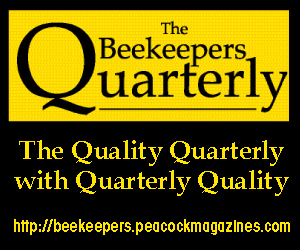 In beginning beekeeping classes, it is typically either not mentioned or strongly discouraged, with little discussion about the method. That is primarily because of the risk of its leading to robbing when improperly done. 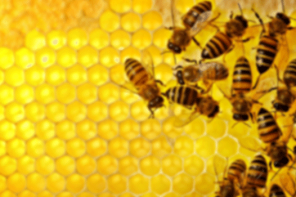 Robbing occurs when bees from one hive enter another, usually weaker, hive to uncap and remove stored honey. That leads to fighting between the robbers and the bees defending the assaulted hive, and ends in the death of bees and the depletion of the already weaker colony. 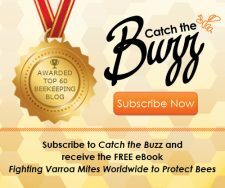 As you say, “Robbing is an ugly thing.” Weak hives, newly established ones, and captured swarms, all of which may lack sufficient bees to repel the invaders, are the most vulnerable, however even strong hives can be at risk. Why should open feeding set off robbing? It is the nature of honey bees to continuously collect and store food, even when the colony already has an ample amount for its needs. 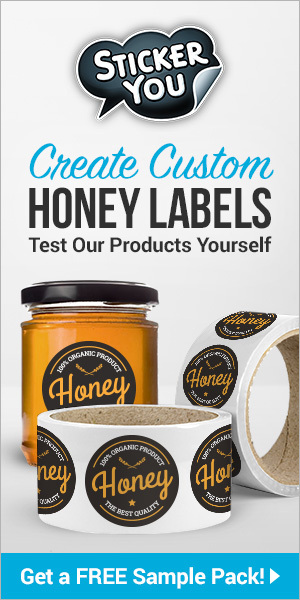 We are the beneficiaries of their overproduction, which is why human beings have been keeping hives, in one form or another, for thousands of years. But the instinct to accumulate food stores persists even during periods when there is little or no nectar available to collect. In Kentucky, as in many parts of the country, the threat of robbing is greatest during the annual mid-Summer dearth, in other unusually dry periods, and in early Spring, prior to the onset of widespread blooming. When nectar is scarce, other food sources become more attractive. It turns out that the dance language, by which honey bees communicate with their nest mates, is good at conveying both the direction and distance of remote food resources, but is not as specific within a radius of less than 50 yards. Open feeding near hives causes returning foragers to spread the terpsichorean equivalent of the message, ”Lots of food, just outside!” The result is thousands of honey bees frantically searching the immediate area for the scent of food, and possibly finding it in a neighboring hive. 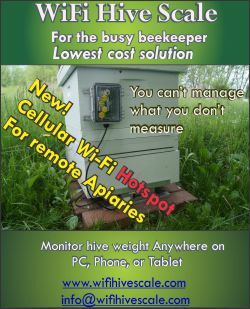 That is why your precaution of the 1,000 foot buffer and the presence of an obstacle between hives and feeding station is so important, and should be, I agree, sufficient to prevent robbing. When steps such as the ones you suggest are taken to prevent robbing, there is no overriding reason for beekeepers not to practice open feeding. The most compelling reason to do so is to save the time and labor of opening hives in order to place and refill other types of feeders. The more hives, the greater the savings, which is why open feeding is typically practiced by large scale beekeepers. While some may make use of feeding stations with jar feeders like yours, most simply use five gallon buckets or barrels. Placing straw or styrofoam peanuts in the container, or almost any material which floats, will reduce the chance of bees’ drowning in the syrup. 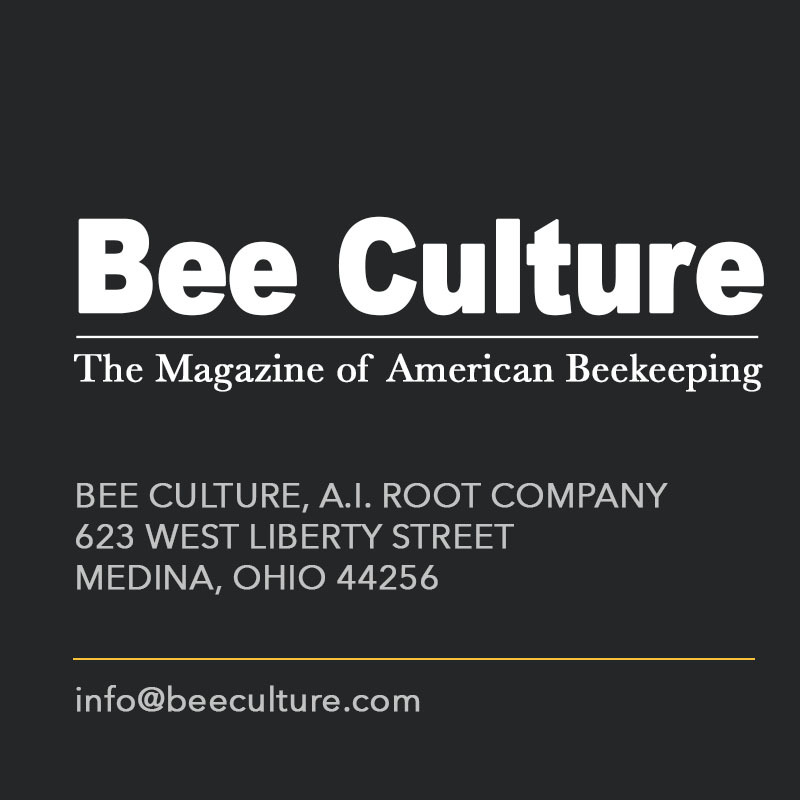 In early spring, many beekeepers like to stimulate feed, or offer small amounts of thin sugar syrup (equal amounts of sugar to water, or thinner), often punctuated by several days between feedings, to trick the bees into early brood production by simulating an early nectar flow. Some prefer to feed in the open to make the simulation more exact. There are a few drawbacks to open feeding, unrelated to robbing, which have to do with its inefficiency. The colonies which reap the greatest benefit from open feeders are the strongest – those with the most numerous foragers to gather the syrup. Yet those are the very hives which are least likely to need feeding, whereas weaker colonies, with greater need but fewer foragers, benefit the least. 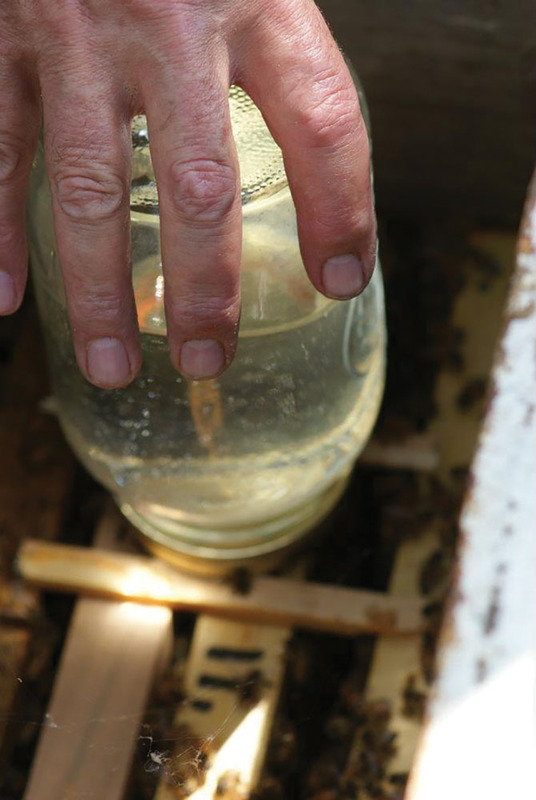 One reason for feeding in the first place is to make syrup available where it is easy to get at, requiring a minimal investment of energy from the hive being fed. Proper open feeding, with the feeder set up at least 500 yards from the apiary to minimize robbing, mitigates this advantage. Another consideration is that the beekeeper is feeding not only her own hives, but also anything within flying distance of the feeder. 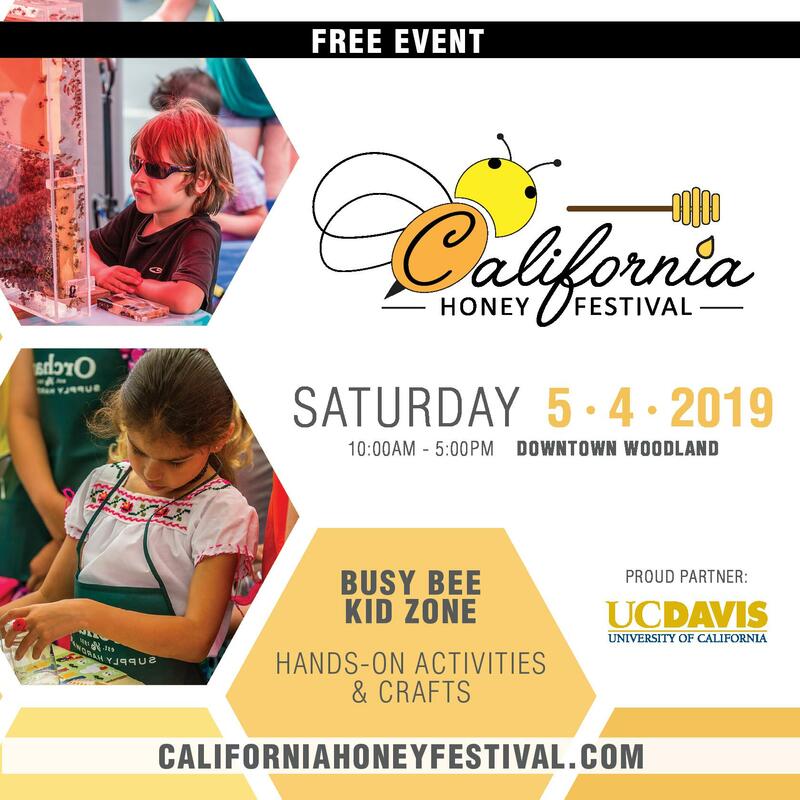 This may include bees from another apiary, feral colonies in the area, or, as you pointed out, other insects. I was at a beekeeping meeting once where the president of the group was discussing his open feeding in the spring. One of the other beekeepers, who noted that he had hives a few hundred yards away from the feeding station, stood up and thanked the association president for taking care of his bees as well. Though there is nothing wrong with open feeding if carefully done, and it is practical labor saving method for large scale beekeepers, I would not recommend it for beginners. Recognizing the onset of robbing may be more difficult for them, and since they will have only a few hives at most, the labor savings is negligible. In general, my advice is to feed over the brood boxes using commercially available or homemade top feeders. Top feeders greatly reduce the chance of bees from other colonies being attracted to the syrup, since they sit away from the entrance and force potential robbers to go through the brood nest to reach the syrup. Quart jars, similar to yours, make good homemade feeders. I use a nail to punch small holes in the lids and place the jars upside down over the inner cover. Small sticks under the lid allow bees access to the holes, and one empty brood box or two empty honey supers, set on the inner cover and topped with the outer cover, complete the set up. 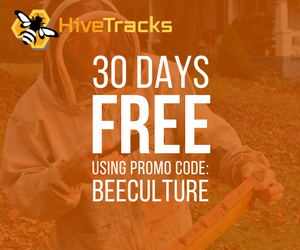 For new beekeepers, with only a hive or two, entrance feeders also work well, as long as theirs are the only hives in the neighborhood. In an apiary with existing hives, entrance feeders are vulnerable to robbing, since the robber bees need only slip inside the entrance to gain access to the feeders. However, springtime robbing should not be a problem for beginners (whether they use top or entrance feeders) because the season for installation of package bees and new nucs typically coincides with the spring nectar flow when the danger of robbing is reduced. Open feeding is an example, like so many others in beekeeping, of a practice that is neither right or wrong, but a matter of personal choice. The key is to learn as much as you can about the options, try different methods, then decide what works for you. This is my fifth year beekeeping and my first attempt at creating my own nucs. One is from swarm cells and one is from a friend’s swarm that had an extra queen. So far both are growing. My first question refers to “shaking in some extra nurse bees” when creating the nuc. When I try that, the result is a huge cloud of bees, few of which end up in the box. Help? Also, if the nuc has food frames, is it necessary to feed? Congratulations on your first nucs. It’s standard procedure to shake in extra bees, and I’m not sure why your shaking produced such a cloud. It’s possible that you are holding the frames too high above the nuc, or not shaking hard enough. What works best for me is to give the donor frame a sudden, firm jerk just an inch or so above the nuc. You might describe it as a snap. This motion should make most of the bees fall onto the frames of the new nuc. The older ones, that have already begun foraging duties, will fly away to collect nectar or pollen and then instinctively return to their original hive. Most of the younger bees should stay put. I’m sure you know that when making up a nuc, it’s best to select frames containing mostly capped brood, and the same is true when choosing a frame from which to shake additional bees. 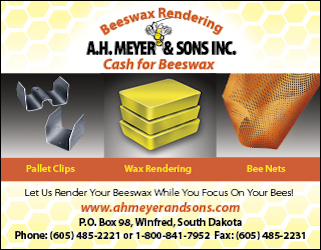 A high percentage of the workers on frames of brood, capped or uncapped, will be young bees, which is what you want. The young ones are often referred to as nurse bees because one of their tasks is caring for larvae. Not only will you need nurse bees in your nuc, but they will also be less likely than older bees to desert it, since they have not yet begun making flights outside the hive. An additional advantage of young bees is that they have most of their lifespan remaining. A nuc needs to increase its population quickly, and having more of the original colony members live longer is beneficial. A foraging bee is at least halfway through its 42 day lifespan. 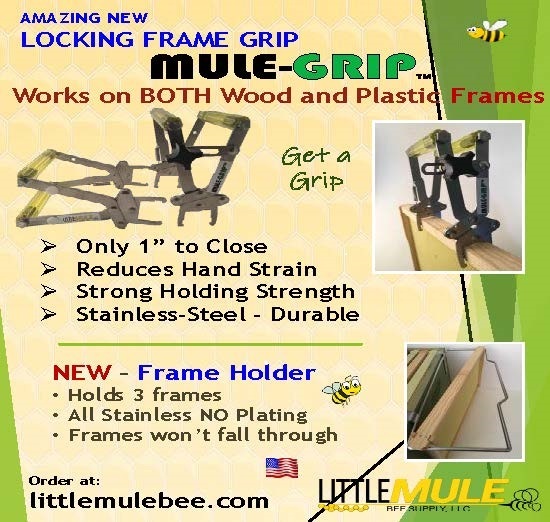 The frames and bees you move to the nuc do not even have to be from the same hive. We can mix and match, so to speak. However, when choosing your frames, make sure that you know where the queen is in the donor hive. You do not want to shake her into your new nuc. If you did, there might be a low percentage chance that she would make it back to her own hive, but I would not count on it. Though a frame of un-capped brood is also likely to have a very high percentage of young bees on it, I would not shake such a frame in the manner I described. Young larvae are extremely delicate, and prone to damage if shaken, so choose a frame of mostly capped brood. When making up nucs, I prefer frames of capped brood for another reason as well. Larvae require less care from nurse bees to complete their development, as compared to pupae. Larvae still need to be fed, and wax cappings must be produced to seal their cells. Pupae only need to be kept warm until they are ready to emerge. This frees up more workers to draw out wax on any undrawn frames you may add to the nuc, and to care for the larvae from newly laid eggs. 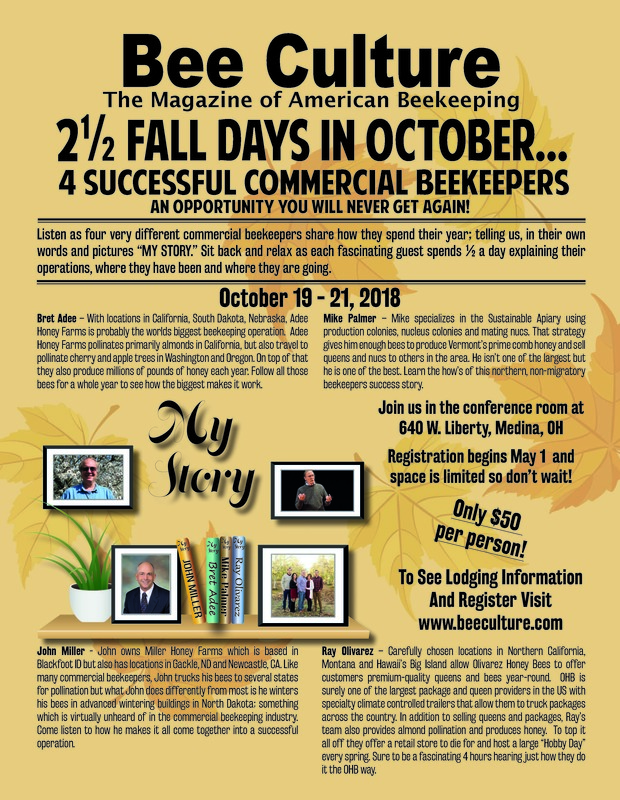 In addition, capped brood emerges sooner, quickly providing the nuc with worker bees and making cells available for the nuc’s queen to lay in, beginning the cycle of another generation of bees. As to the second part of your question, when making a nuc we should include enough honey on the frames to tide the new colony over until they are in a position to bring in additional food stores on their own. This is all the more important if, as discussed above, it consists almost exclusively of young bees that have not begun foraging. My own nuc recipe consists of: one frame containing mostly honey (which could be capped or uncapped), and ideally some pollen; two frames of capped brood, preferably also containing some food stores; and two frames containing new foundation or good quality drawn comb, unless I need some space for a queen cage or frame feeder, though when I feed I normally do it over the top of the nuc with a quart jar feeder inside an additional nuc box. 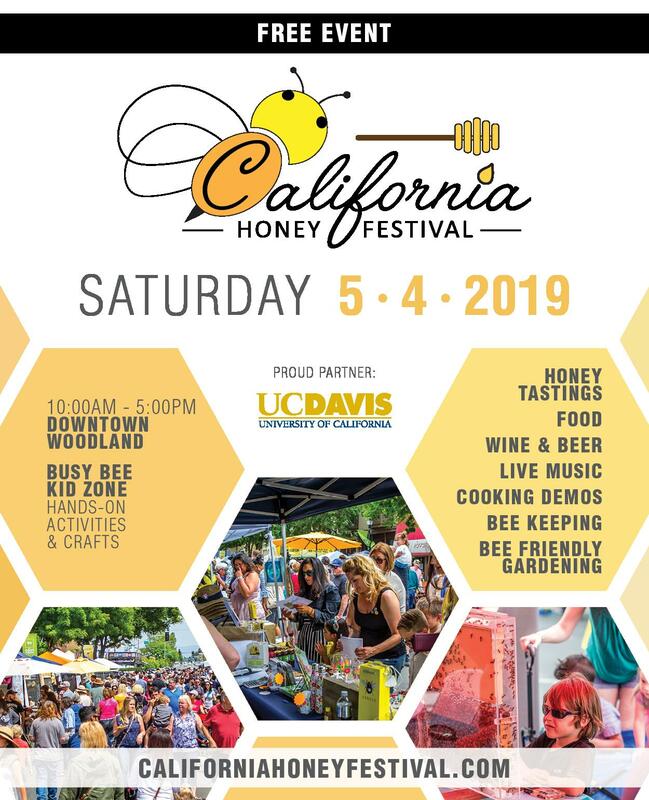 The primary reason for including stored honey when making up a new nuc is not to supply the developing colony with food to sustain it, but to provide it with an emergency reserve in the event that its forager population cannot collect enough nectar and pollen. Stored food is, in effect, a rainy day fund, not a checking account for the everyday necessities of rearing new brood and providing fuel for bees making wax. So the answer to your question about feeding is: it depends. You would not need to feed if there is a nectar flow on, and if the new colony has enough foragers to collect sufficient food. Of course, what I have described above is my approach to nuc making, and not everyone goes about it the same way. Whereas I keep my nucs in the apiary where I assemble them, some beekeepers immediately move theirs to a distant site. Moving them can change the make-up of the nuc and affect the need for additional feeding due to the way foraging bees navigate. On their earliest flights, honey bees orient to their colony’s location by imprinting upon landmarks in its vicinity. 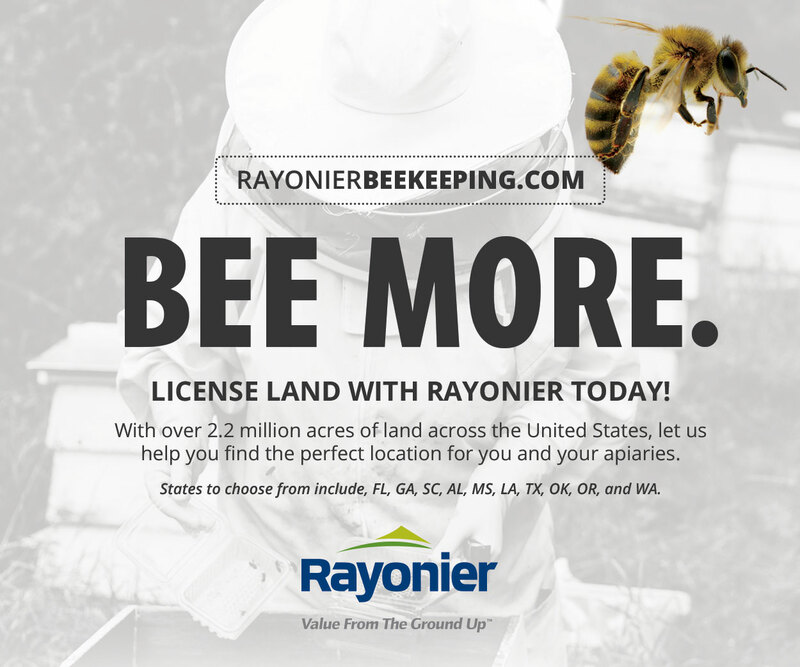 If we move a hive, from a few feet to a several hundred yards, the bees do not go to the new location after foraging, but return to the original one, even when there is no longer a hive there. (I discussed this behavior in more detail in an earlier column.) By leaving my nucs in the same general location from whence the bees in the nuc originated, I am virtually guaranteeing that all the older, forager bees will return to their original hives, leaving my nucs full of young, unfledged bees. 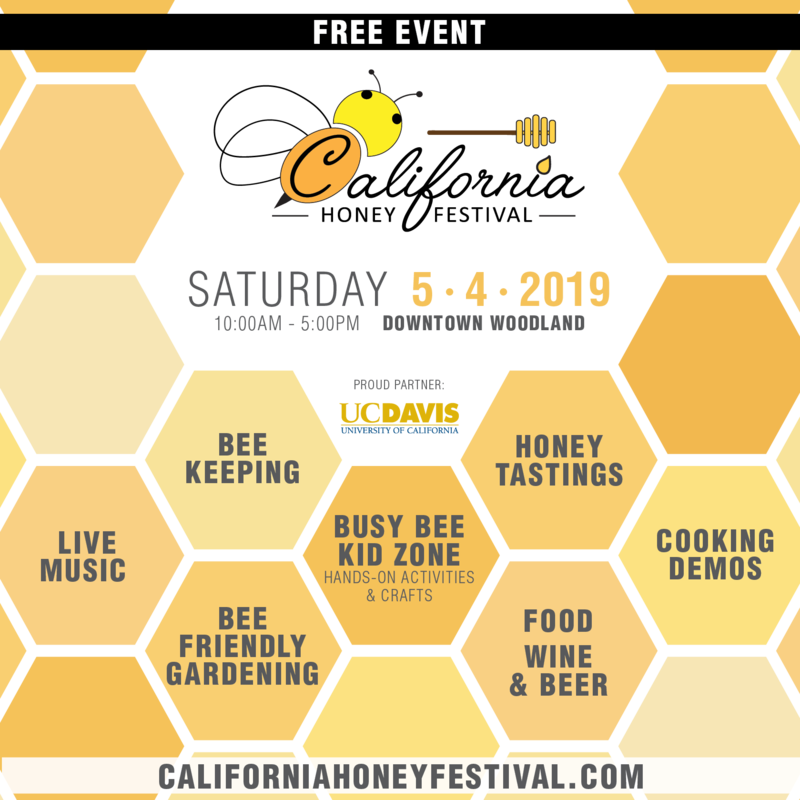 I personally prefer this for the reasons I have already discussed, and because I like to keep my veteran foragers busy making honey for me in my stronger hives. I don’t look for a honey crop from nucs; I just want them to survive and build up in their first year. Some beekeepers prefer to make up nucs which include older bees. 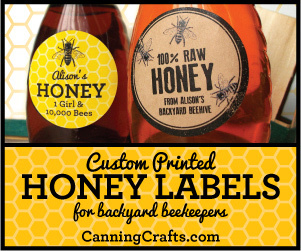 The way to accomplish this is to shake as many bees as possible into the nuc, seal it immediately, and move it to a new site at least a mile away – preferably two. When the nuc is unsealed, foragers exiting the hive will not recognize their surroundings, and will re-orient to the new location which becomes home to them from then on. The advantage of nucs created in this way is that, from the outset, they have a field force to supply food for the colony, while mine have to wait for pupae to mature and emerge to become nurse bees so that the nurse bees can graduate to foraging. 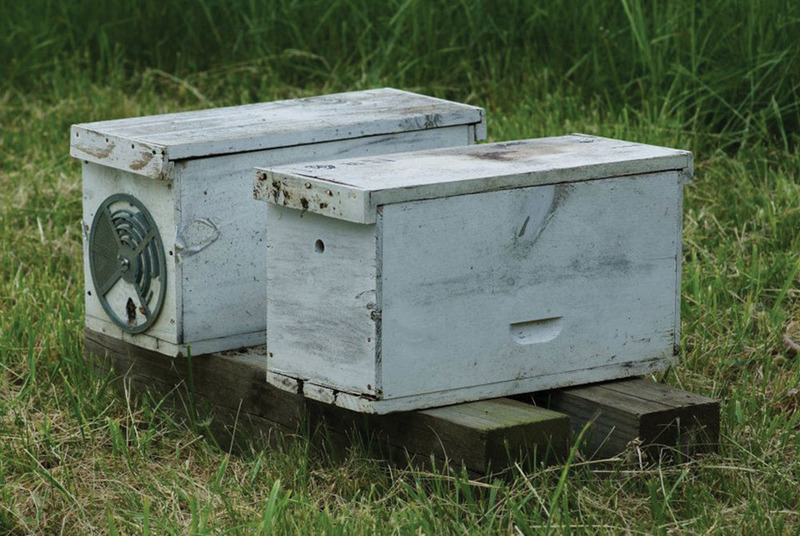 For this reason, nucs at remote locations may be less dependent on supplemental feeding – and a good thing too, because it may not be as convenient to check on and feed them as with nucs in your home apiary. You say that both of your nucs are growing, so supplemental feeding may not be necessary as long as you continue to monitor the hives closely. However, they will develop more quickly if you feed them for a while. I would further suggest that you begin feeding again after you move them into full size boxes, especially if you fill up the box with frames of new foundation, rather than drawn comb. My own practice is to feed a rehoused nuc until it draws out the first full sized brood box, then leave them on their own to draw out the second, as long as a nectar flow is in progress. However, the hive may develop more quickly, if feeding continues longer. As long as you have a nectar flow and a number of foraging bees, the rest is management choices without clear right and wrong answers. I bet you thought you asked two simple questions.